While I agree that only Congress can legislate through statutes, there is the distinction between statutory law and common law. I know that Pastor Whitney regards natural law as the highest form of law, and that anything contrary to natural law is null and void. 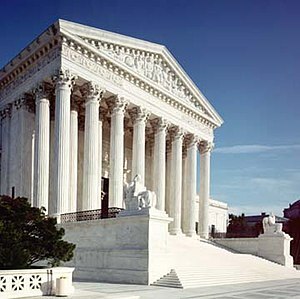 However, there is the separate issue of whether common law, which may or may not protect natural rights, exists in the United States, and has constitutional force. Here we have a recognition of common law applying to the United States, from the most prolific writer of The Federalist Papers. Here we have evidence from the Constitution itself that common law applies in the United States. Therefore, I have shown that common law does exist in the United States, in terms of the intent of the Founding Fathers, and is operable according to the Constitution. Wherever there is no Congressional statute or code stating how something should be handled, decisions by judges constitute a separate body of law in the United States. Loyola professor and senior Mises Institute fellow, Thomas DiLorenzo, likes to attack President Abraham Lincoln for his policies of questionable constitutional authority. What DiLorenzo won’t do, however, is attack with the same zeal, the same alleged violation of the Constitution by the first, and generally highly regarded President of the United States, George Washington. The term lawful connotes even stronger authority than legal, since lawful represents adherence to the spirit of the law, as well as the letter. While prominent hard money advocates such as DiLorenzo take exception with Lincoln’s issuance of interest-free legal tender United States Notes, I have yet to see a single one of them point out with the same contempt, that George Washington was acting just as unconstitutionally, according to their own standards, as they allege Lincoln was in making United States Notes legal tender. The issue of whether the federal government has the power to issue paper currency is separate from whether it has the power to make any currency legal tender. As to where Washington may have believed he was acting constitutionally in signing the 1792 Coinage Act into law, and taking the view of his Treasury Secretary, Alexander Hamilton, over that of Thomas Jefferson, see my article The “necessary and proper” clause: it’s not meaningless. 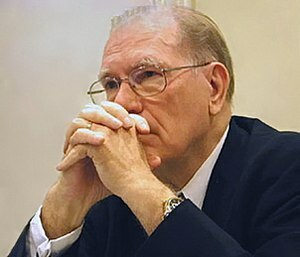 When Lyndon LaRouche made his second appearance on The Alex Jones Show on June 30, 2011, he made a bogus claim about America’s monetary system. At around 42 minutes into the second hour GCN archive, he claimed that Alexander Hamilton set up a system of national credit in the U.S., and not a monetary system, like in the UK. 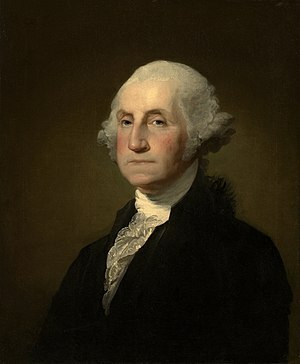 However, it was Hamilton who lobbied for a privately owned central bank modeled after the private Bank of England, and it is the Constitution that says that Congress alone has the power to coin money, and that states can only make gold and silver legal tender in payment for debts. I covered LaRouche’s first interview on the Alex Jones Show in my April 9, 2011 article, Lyndon LaRouche jumps off the deep end on Alex Jones.